Not a great deal of time to muse. I'll keep this brief. The following two-year-olds have been pinpointed by out superb website Group Horse, which basically detailed the best horses in training for handlers large and small. Take a look at the website and join our free mailing list which is the free version of a subscription website which cost almost £500 per annum. So let's take a look a tomorrow's trio. As the title of the post exclaims, we have one horse on our radar. 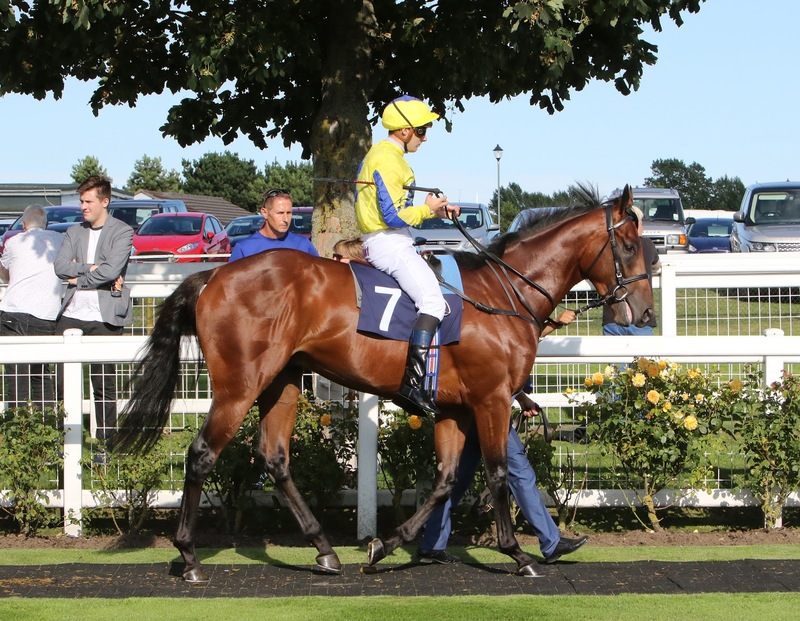 II Primo Sole made a big impression when cruising past his rivals when making his debut at Yarmouth. There seemed to be no limit to this son of Raven's Pass, trained by John Gosden, in the ownership of Mr & Mrs Leoni Sceti. This two-year-old breeze-purchase cost a measly £55,000. I could imagine Godolphin would have been willing to have paid £1000,000 after this bay colt demolished the opposition by over four lengths. In truth, he hasn't done much wrong in his latest two starts. I know losing at 4/7f on two occasions doesn't fill your pockets with wonga but the factor of decent opposition, and, particularly, a weight penalty has dragged him down a notch or two. Runner-up to Wafy at Sandown. Charlie Hills' may have looked like a poor juvenile on his debut but he was anything but. II Primo Sole's defeat was not as bad as it looked. Next start proved a horror show. A turning 7f at Lingfield. A wide draw and hold-up tactics, then short of room, meant an uphill challenge and he ran on very well but there wasn't enough real estate. What do we make of this return? Well, a wide draw isn't the best starting point. A winner's penalty sees him burdened with an extra 7lb. It will be interesting to see if Havlin tries to get to the rail or settle in behind. It may be the case he is settled in behind as darting for the rail can be a killer move if failing to hit the lead and pushed wide on the bend. That would be a disaster. With two major fancies [Jahaafel & Strange Society] unraced, but better draw, it will be an intriguing contest. Turning courses can be very tricky for debutantes so they may well have their own issues. The other hope in the betting is the once-raced Music Society. However, Kirk's Irish-bred son of Societ Rock hasn't been seen for over 100 days but troubled with a wide draw. Conclusion: An intriguing but tricky race. The class horse is II Primo Sole. He has been defeated twice since a remarkable debut. The burden of a winner's penalty has been something of a millstone around his neck. A wide draw on a turning course is a concern. At short odds, I would have to take a watching brief. I'd rather see this colt over a straight mile. The debutantes will need to be smart to prevail. They will have issues with this turning course and unlikely to be given a hard time. Strange Society is priced at the time of writing as though needing the run. if very weak in the betting, best watched. I guess Music Society will benefit from this step up in distance and could try to lead. I'll be looking at the favourite to get back to winning ways but couldn't bet at short odds. A lowly nursery 0-65 rated handicap. Blessed To Empress won on debut but struggled to be competitive in ways. This bay filly was a touch unlucky last time out when De Sousa was checked more times than an old episode of Blankety Blank. Should go better today and be of interest if drifting to an each-way price. A big old field with a short-priced favourite, Perfection, who is making her debut for John Gosden. Dance Me has been noted by Sylvester Kirk and ran well on debut. She was relatively fancied last time out at Chelmsford when fourth behind a fair horse in Bath And Tennis when defeated by just under two lengths. She will improve for this step up in distance and may go ok at 25/1 for a small each-way bet.